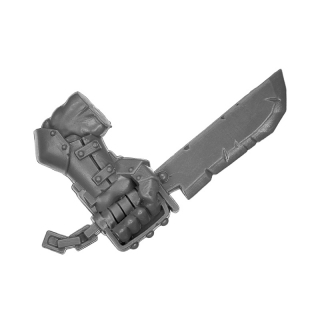 This is a sword out of the Warhammer Fantasy Orcs & Goblins Black Orcs box. 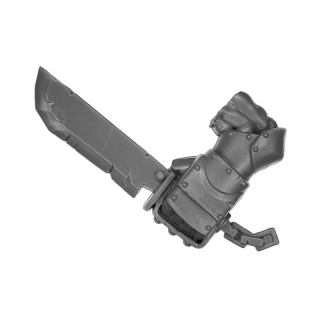 Black Orcs wear heavy plate armor and are equipped with a variety of captured weapons. They have a darker skin color than other Orcs and are by far larger and stronger. Due to the physical superiority of the Black Orcs, it is not uncommon that such a juggernaut is quickly becoming the Warboss of a whole Orc horde.